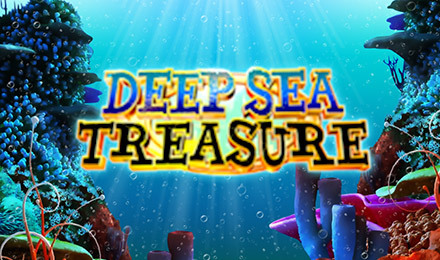 Swim with the octopuses, puffa fish and sharks when you play Deep Sea Treasure Slots. All you have to do is spin to win to get your treasure! So what are you waiting for? Dive in today! Dive right in to Deep Sea Treasure Slots at Wicked Jackpots! There's a fun and adventurous underwater theme, bonus features and loads of chances to win. The 5 reels are full of related symbols, like Puffa Fish, Octopuses, and other underwater creatures. There are 20 paylines and you can customize your bets per line. The Shark is your Wild, and when it completes a winning combination, your wins will be multiplied up to 10x. The Scatter is the Puffa Fish, and when you spin 3 to 5, your FREE spins bonus will begin.